The Personal Job Ad exercise is useful for the second step of the 5-step Getting Unstuck career change process from The Career Psychologist. By thinking about what skills, interests and values you would highlight in your own job ad, you can help to clarify what matters and develop your decision criteria further. 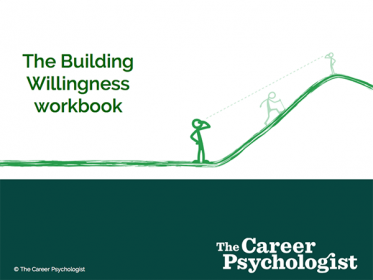 This short workbook forms part of the 5-step Getting Unstuck career change process from The Career Psychologist. This is part of step 4 – how to build willingness and prepare to move into action. 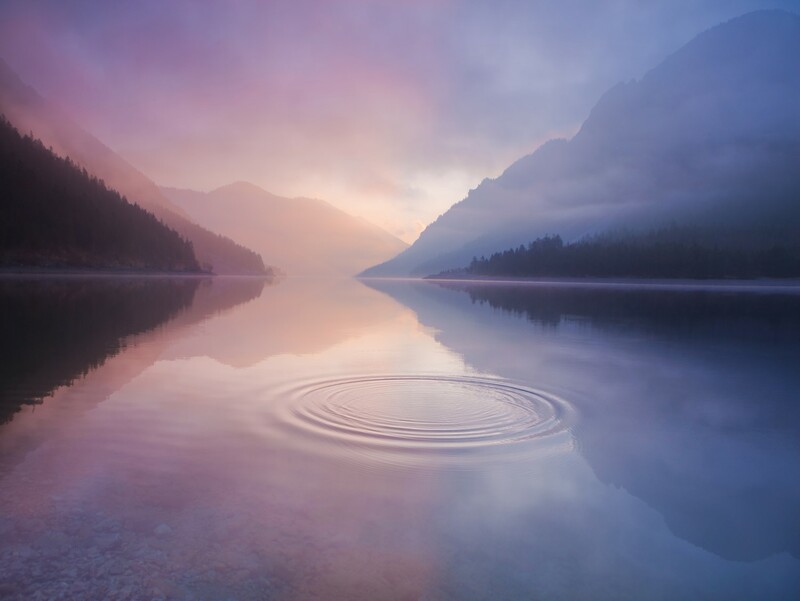 This short video explores the concept of experiential avoidance, and how it relates to common career issues – in particular career paralysis. 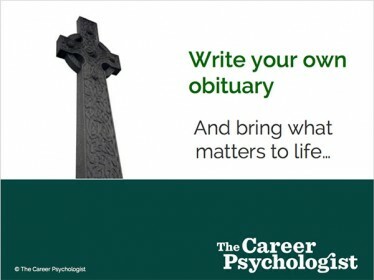 The Obituary exercise helps people to clarify their values and explore what’s really important. Relevant to anyone seeking to identify their priorities in both their career and life. 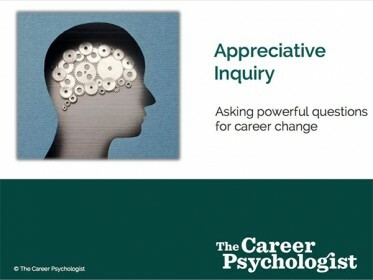 Appreciative inquiry looks into the best of what is, in order to imagine the best of what could be. Helpful for those looking to connect to a deeper, more powerful purpose in their careers. 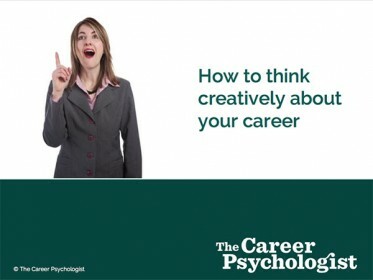 This short workbook explore why creative problem solving is essential when thinking about your best career. 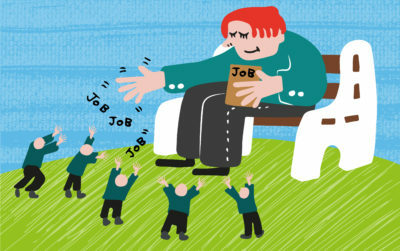 Includes exercises to try out and tips for career changers. 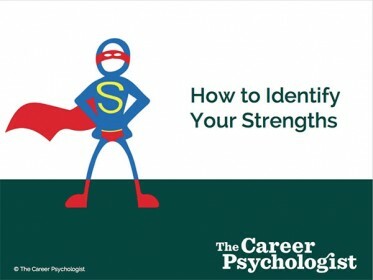 This short workbook shows how to define your strengths and provides some templates to think about your achievements. Ideal for career changers or those looking to accelerate their performance. 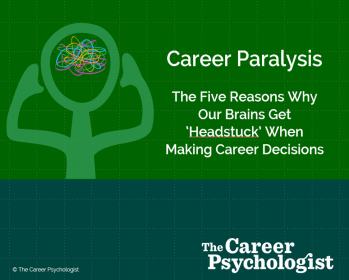 Are you stuck in Career Paralysis? This presentation has been viewed nearly 300,000 times and this is the 7th year it has been updated. It takes about 10 minutes to view and we’ve had many hundreds of people get in contact saying YES! THIS IS ME! If it speaks to you too, get in touch to find out how we can help you get unstuck and moving forward with purpose.